By using the WillyWeather.co.uk website, you accept and agree to the terms and conditions set out in this document. This document may be amended from time to time with the addition of new features and services, or the alteration of existing features and services, or otherwise by our discretion. These amendments will be made without notice to you and will be effective as soon as the changes are made to this document. You must not reproduce, modify or adapt anything on this website for use elsewhere, without our prior consent. Including but not limited to intellectual property rights and copyright which is owned or licensed by us, or used by permission from a third party. In association with any information that might be, or that might promote abusive, threatening, defamatory, unlawful, obscene, profane, pornographic or indecent conduct. WillyWeather may cancel our permission to a link at any time. If requested to remove a link by us, you must do so immediately. You must clearly identify each link as a link that is pointing to the WillyWeather.co.uk website. You must ensure that the link is never broken, and is always pointing to the correct page as indicated. You must ensure that the link, and any information on the page it points to, will not be used for any commercial gain. You must indemnify WillyWeather against any harm we may suffer as a result of your link. External websites are not under our control. The content of any web pages on external websites is not our responsibility. The appearance of a link on the WillyWeather site does not indicate an endorsement, a recommendation or an approval of any of the content found on the external website. Links to external websites may not be up to date, and are not checked by us. WillyWeather displays information produced by external organisations including the Met Office, United Kingdom Hydrographic Office (UKHO), EUMETSAT and the National Oceanic and Atmospheric Administration (NOAA). WillyWeather is not affiliated with these organisations and is privately run. General - The information provided by WillyWeather is distributed in the hope that it will be useful, but without any warranty; without even the implied warranty of merchantability or fitness for a particular purpose. Tide variations - Unofficial tide variations and tide predictions for secondary ports which are calculated using average time differences should not be used for navigation. Emergency situations - Information provided by WillyWeather must not be used in emergency situations. 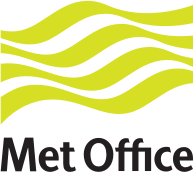 In emergencies please refer to the Met Office warnings page. The nature of weather - It is important to remember that weather is unpredictable. Weather forecasting is not an exact science, and weather observations can contain errors, omissions or loss of data. System failures and technical glitches - It is also important to remember that system failures and technical glitches can occur that may result in errors, omissions, loss of data or notification failures. These include (but are not limited to) server failure, software logical errors, power outages, and anything else that results in WillyWeather systems failures. Liability indemnity - As a result of the nature of weather and the existence of system failures and technical glitches, WillyWeather does not accept responsibility for any direct or indirect loss or damage, whatever the cause (even by negligence), as a result of the use of information displayed on WillyWeather or provided by WillyWeather, or if WillyWeather is unavailable. This may also include information provided to WillyWeather by external websites. General Information - WillyWeather Paid Accounts are a completely optional, value-added service offered by WillyWeather. Members have the choice of upgrading to a paid service during the sign-up process and at any other time. Payment processing - WillyWeather uses the Stripe payment processing system. Credit card details are stored by Stripe, and are not stored by WillyWeather. Each time a payment needs to be processed WillyWeather communicates with the Stripe API to process the payment using a unique user ID. Monthly account fees - The day that the first paid service is added to the user's account is the billing date (unless a 30 day free trial period applies). The future addition or deletion of paid services do not alter the billing date. When a paid service is added to an account, the next payment (on the billing date) will reflect only the portion of the previous month that the service was active. Conversely, when a paid service is removed from an account, the next payment (on the billing date) will reflect only the portion of the previous month that the service was active. Payment methods - WillyWeather currently accepts credit and debit cards through the Stripe payment processing system. Notifications - WillyWeather account holders have the ability to create notifications (alerts, reports and warnings) that are automatically sent by our accounts system via email, SMS (or other medium as described on the website). Notifications are dispatched to the user based on conditions set by the user according to the weather data WillyWeather has in its database. WillyWeather assumes no liability for damages arising from the use of these notifications. Account holders accept the possibility that the data dispatched may not match the data on our website at the time the dispatches are made, either through problems with our data suppliers, or through system failures as described in section 8(e) of this document. Account holders also accept that while the data dispatched with the notifications may be correct, due to the nature of weather being unpredictable as described in section 8(d) of this document, any risks associated with activities undertaken by account holders as a result of this weather information is undertaken with the knowledge of the inherent risks associated with relying on such information. Account holders also accept the possibility of system failures as described in section 8(e) of this document, and the fact that notifications may be delayed or not sent out at all at any stage throughout the life of the website. SMS notifications, alerts and reports are delivered through a 3rd party SMS gateway. WillyWeather receives delivery notifications from this gateway and will attempt to resend any failed SMS's, either through the primary gateway, or through a backup gateway. As with all message delivery account holders accept the possibility of system failures as described in section 8(e) of this document. General - There are a limited number of instances in which WillyWeather has access to user information of non-account holders that might be considered private. To demonstrate our ongoing commitment to the privacy of any current or future user of WillyWeather this privacy statement has been created, and will be updated from time to time as our website adds functions and services that might require changes to this document. WillyWeather Account Holders - WillyWeather respects the private and confidential Information given to it by account holders, which are only used to facilitate the features used in the account system with regards to the delivery of weather services, and will not be sold, loaned or rented to any third party, unless account holders have opted to receive relevant offers by our partners. Contact Information - WillyWeather will occasionally run online surveys and contests that may ask for the contact information of users (such as a name and email address). This contact information is used to contact users where necessary, and is only given to a third party if the third party is directly involved in the survey or contest. External Links - WillyWeather is not responsible for the privacy practices or the content of websites that are not under our control. Also see Section 6 of this document. General Information - The weather information contained within WillyWeather website widgets, that are provided to 3rd party websites, are subject to the terms and conditions set out in this document. By agreeing to the terms and conditions set out in this document, 3rd party websites that choose to display WillyWeather website widgets have the responsibility to inform their users of these terms and conditions. Widget tampering - 3rd party websites that display WillyWeather widgets must not alter in any way the widget code that is provided by WillyWeather, including the removal of any links. Scraping or copying any content from the WillyWeather website is strictly forbidden, unless you have received specific permission from us for each instance.